I have been busy with things other than the new house and having fun since I got home. Having to take an extra week off from work to make my closing meant trying to make up some of the lost capital through other means at home. Since I am not quite in bikini shape yet, modeling or selling my body was out of the equation. Thankfully a lot of the small operators in the area don’t have set crews and tend to be looking for a warm body now and again. 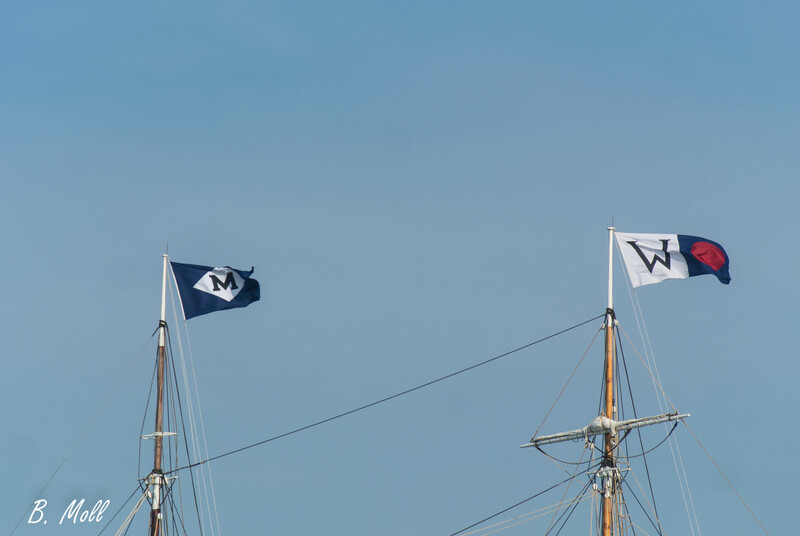 This need for crew has led to picking up a few spot jobs for an old friend and boss, for a new boat, and the chance to be part of one ships remarkable 38th voyage. 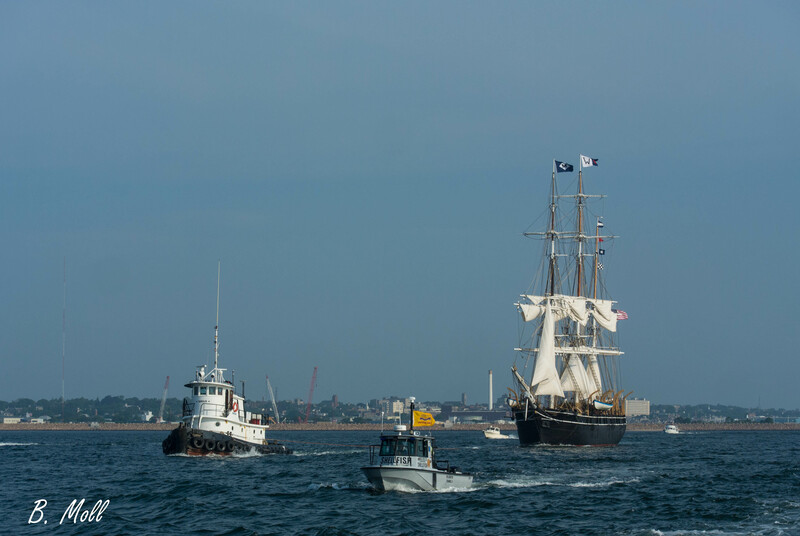 The first tug I ever worked on is the Jaguar from New Bedford, she is owned and operated by Capt. Charlie Mitchell and has been since he had her built in 1967. I always try to get a trip or job in on Jaguar when I am home, she is 65′ of pure hawser boat. No winches, no capstans, just proper boat handling and muscle on deck. Everything is fairly small and for an 18 year old who thought he knew a thing or two about boats it was a great environment to get humbled in. Nowadays Jaguar is where I go to keep the deck skills sharp and continue to learn a thing or two about running a tug from a master of the trade. This trip home we have done a couple cool jobs, two rather par the course and another of a more historical manner. 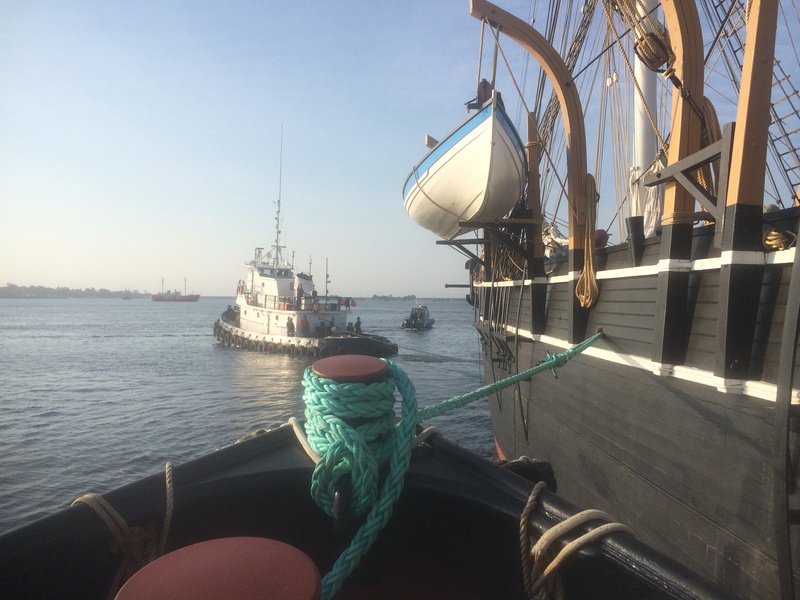 One thing I have done a far bit of on Jaguar is move and tow tall ships. She is the right size for it and Capt. 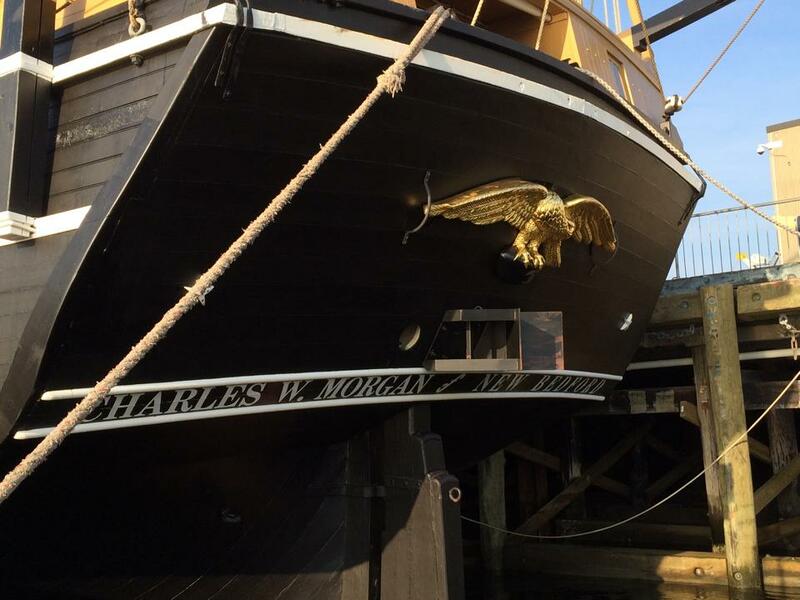 Charlie has a delicate touch with wooden hulls often older than any of two crew combined. 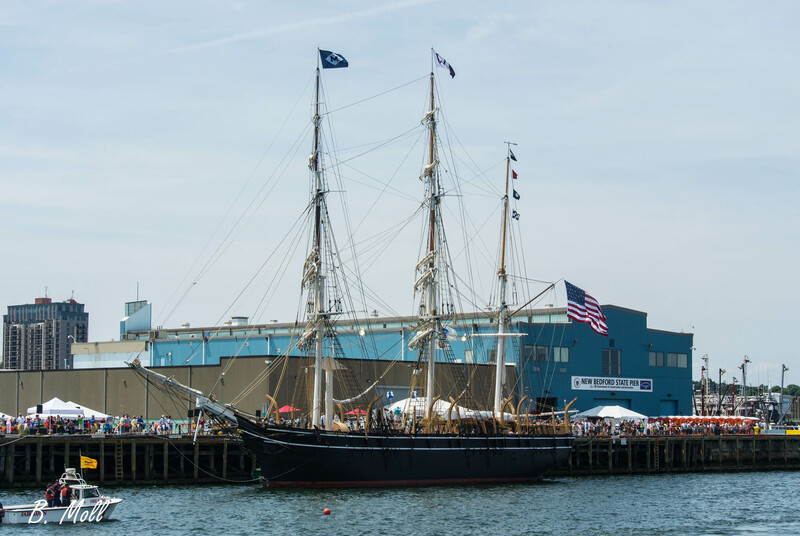 So it was no surprise for me when I got the call to be crew for undocking the historic whaleship Charles W. Morgan as she left New Bedford to continue her 38th voyage. I had ridden as a passenger several days earlier for the boat parade celebrating her visit, though that was pure fun. This was work, albeit still fun. 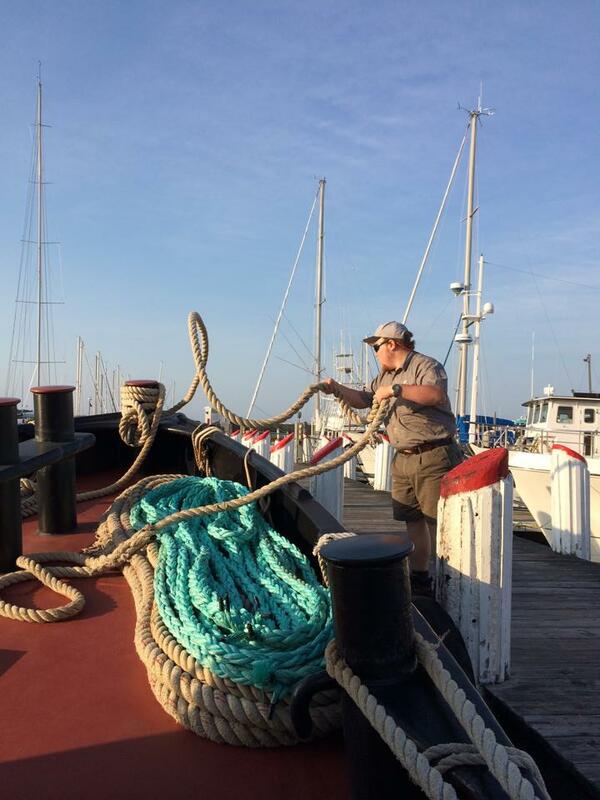 Even better was getting to say hi and take a line from a class mate from school working aboard the Morgan for the summer. Even Even better was getting to take the Therapist Fiancé along for the ride, her first tugboat experience and a first hand glimpse into what I do for a living. Things went off with out a hitch and the crowd to see the Morgan off was amazing. 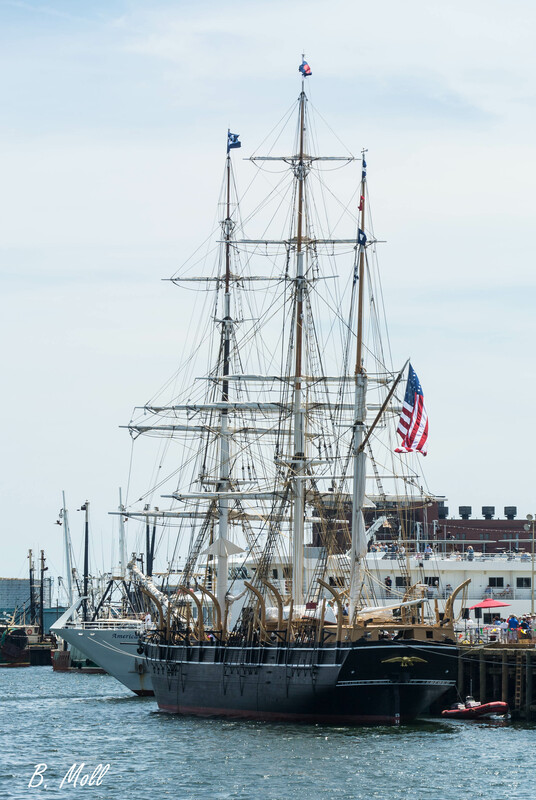 She is the last wooden whaling ship afloat and the oldest sailing vessel in the country next to the U.S.S. Constitution. Getting to be even a small part of her first voyage in decades is something I feel privileged to have done. What was just as special for me was getting to share this part of my life for the first time with the Therapist Fiancé. She has been curious about the mysterious Jaguar for a while, and to get to take her along on a really cool job like this was a treat. The other two jobs we have done are slightly less glamorous regular tugboat work. After the boat parade we ran out through the dyke and followed in the tug Sirius towing the Seastreak Wall Street, yes that one. 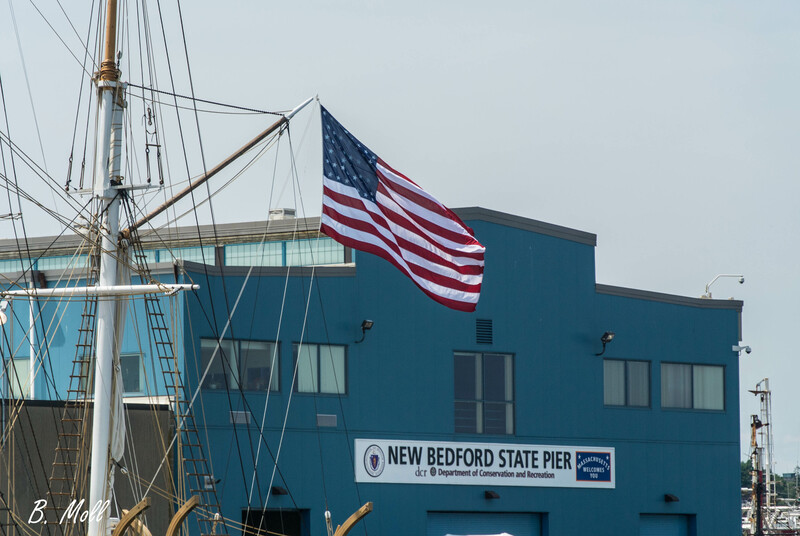 They had lost one of their wheels near the dock in the vineyard and had to be towed to New Bedford for repairs. 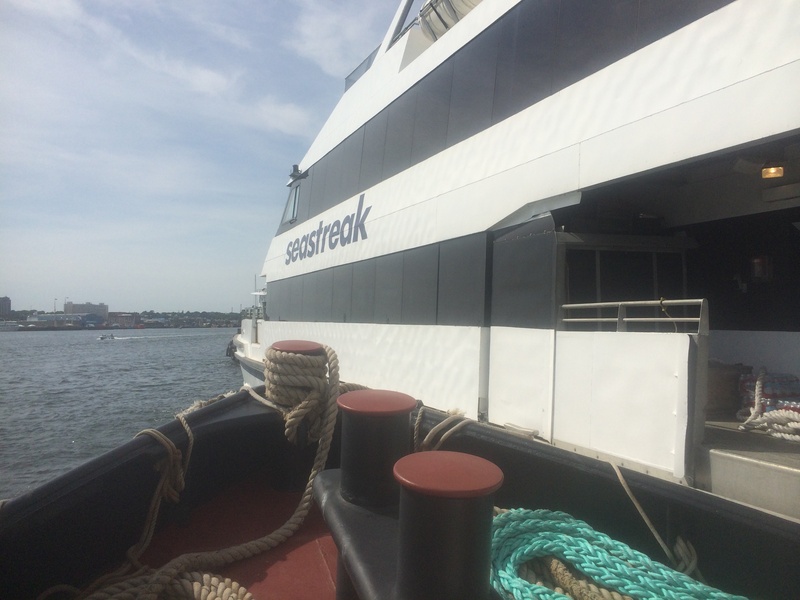 After coming in through the hurricane barrier we made up on the port quarter of the ferry and brought her over to the state pier. An easy little job and I even got to work alongside my cousin on deck. 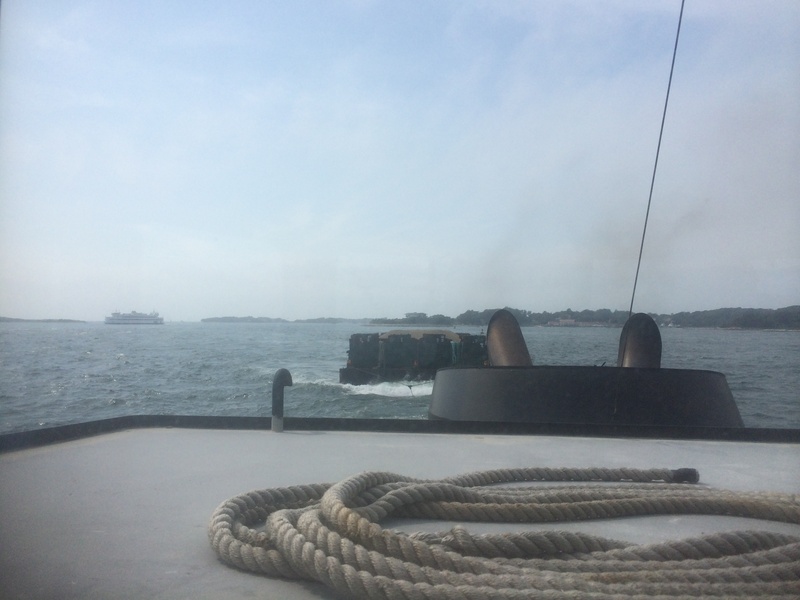 The most recent job was heading out to vineyard sound to take over the tow of a clam boat that had broken down. 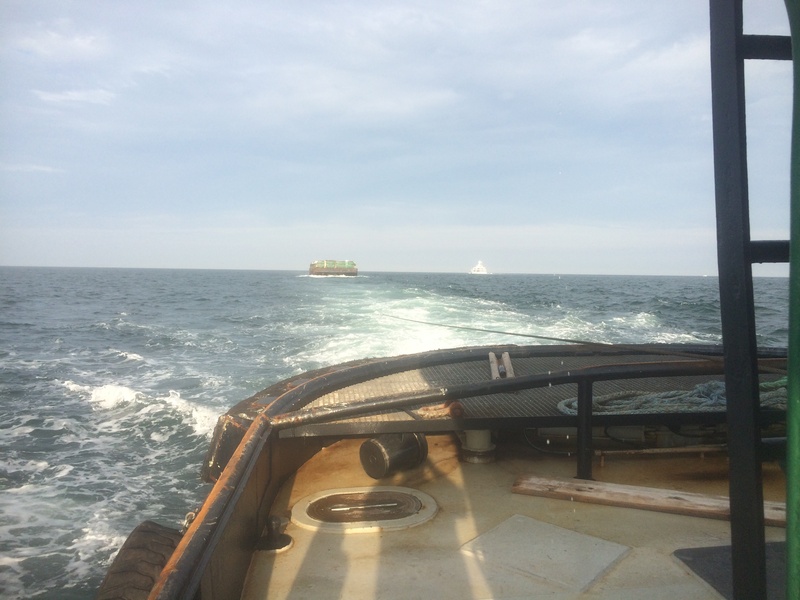 A partner boat had towed her overnight from offshore and about two miles outside of Quick’s Hole we took her in tow for New Bedford. 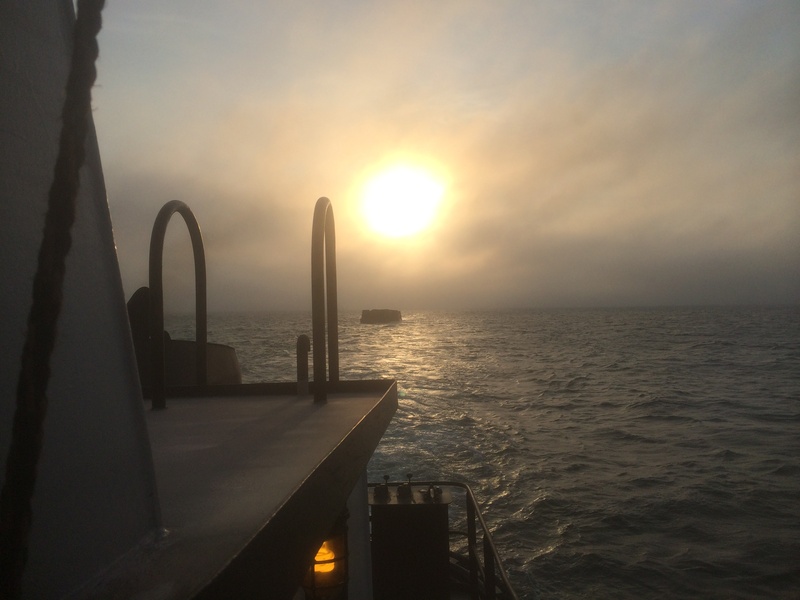 It was a less than pleasant day to be on the bay and if we had headed out past Nantucket the night before to tow her the whole way it would have been a lot less than pleasant. 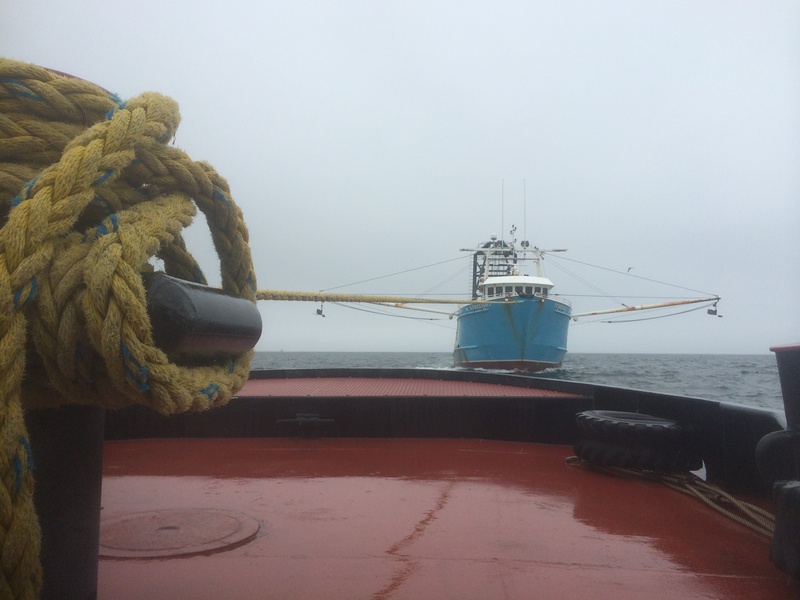 As we approached I faked the hawser and bridle out on deck and made up my heaving line, we set up just upwind of the bow of the F/V Starlight, and passed the towing gear to them. 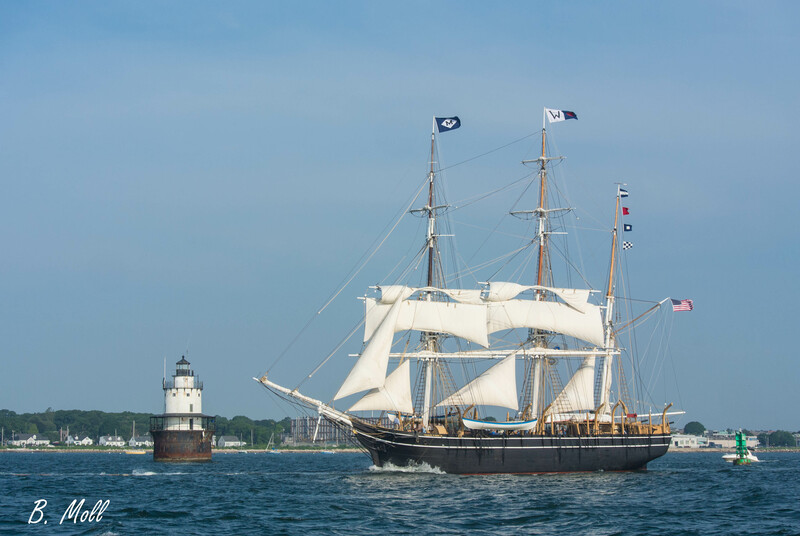 I made the hawser up short, even though Charlie will tell you I was itching to let some out, and headed for New Bedford. 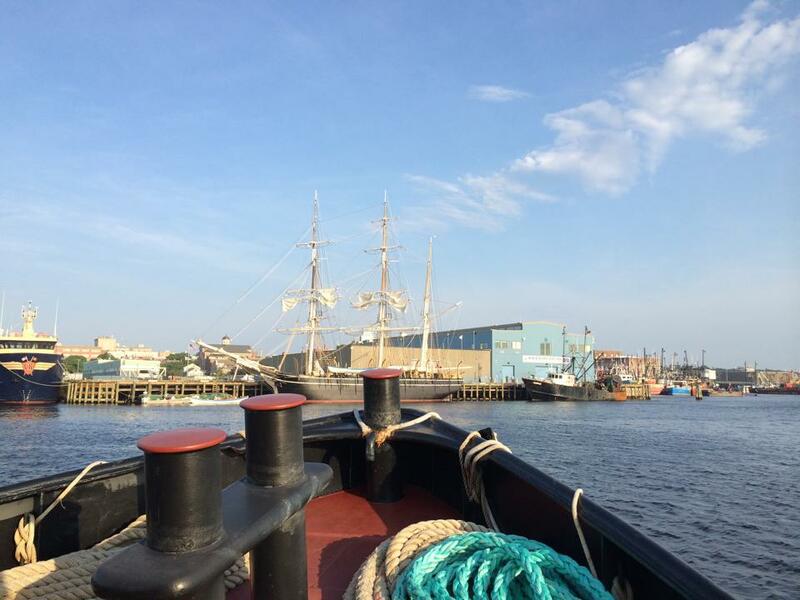 Upon making New Bedford we towed on a short hawser through the dyke, and made the swing bride just in the nick of time, still towing on a short hawser. 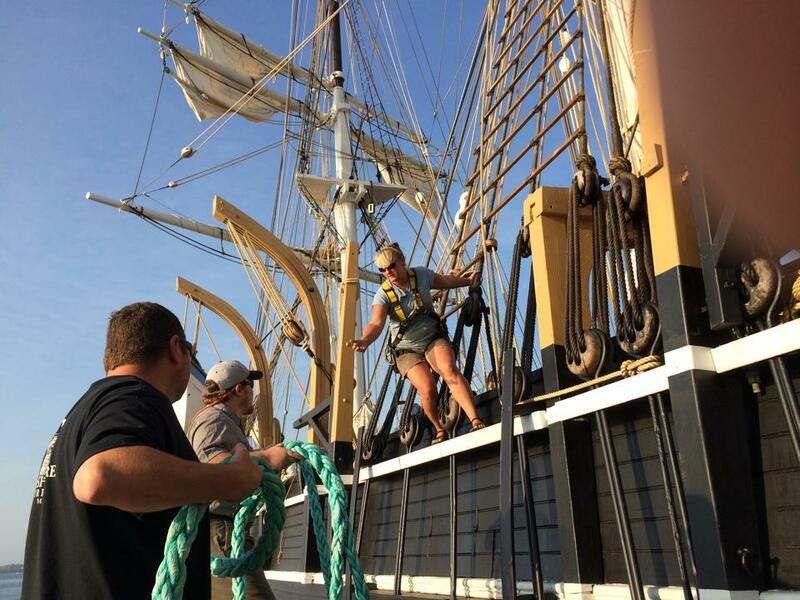 After getting through the crew on the Starlight dropped the bridles which with the hawser I hauled aboard quickly, and we made up along side of them on the fly. This involved not getting them stopped before we broke tow, and letting them over take us, putting up the head line first and using that to stop them as I put up the strap and stern line. We secured her alongside some of her partner vessels and it was time to put up the hawser and wait for the southbound bridge opening. 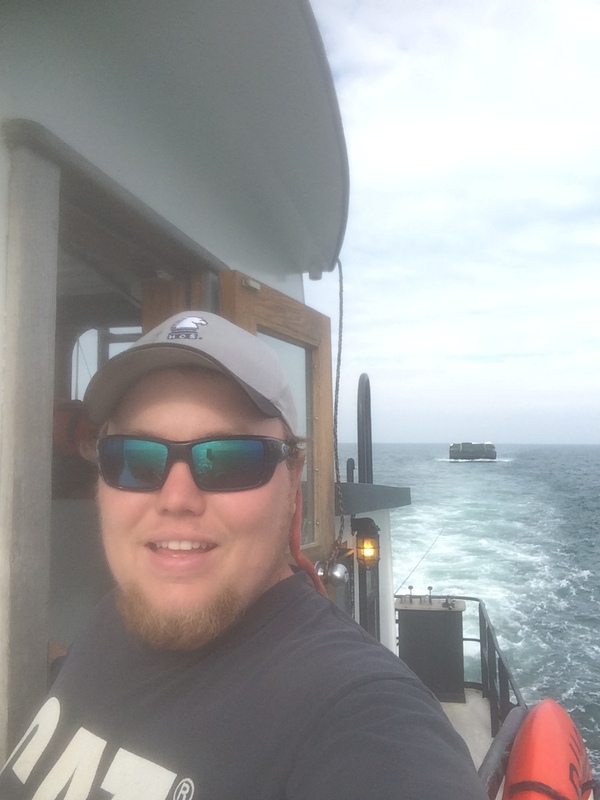 To add to the variety I was able to do a two day job aboard the tug Bucky for the Toscana Corporation of Nantucket. 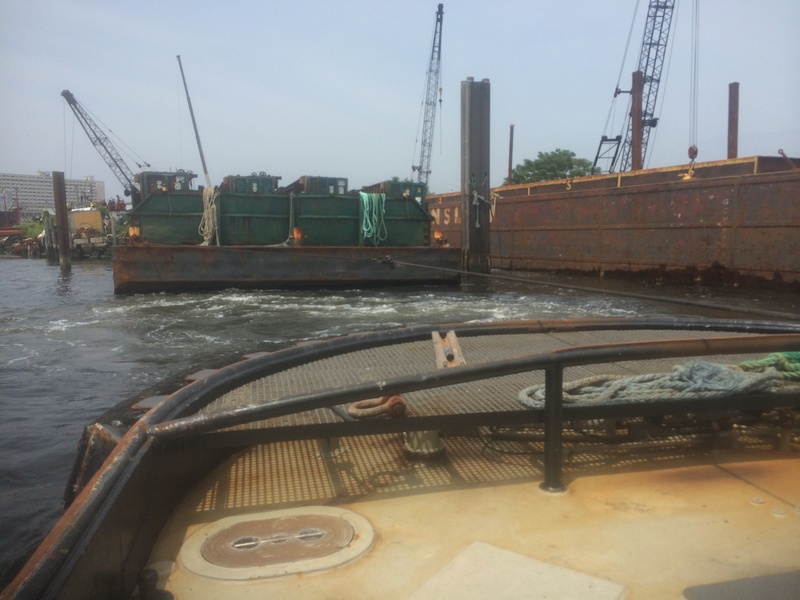 They own the Bucky and a barge for the express purpose of moving their own materials and equipment two and from the island, as well as providing removal service for certain island trash. We took a load of crushed stone and empty dumpsters over one day, and offloaded and reloaded with full trash dumpster the next day before making our return trip. 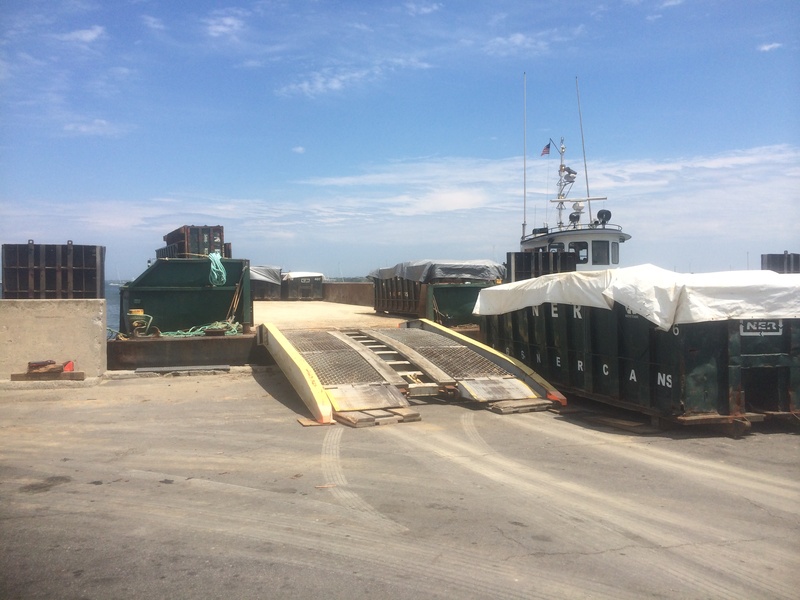 It was a fun job and I got to take some good pictures of Nantucket harbor and some of the ferry boats. Capt. Tim onboard was a really cool guy to work with and I hope I get to fill in some more for them. So I have a little over a week left at home and with any luck I can squeeze in one or two more short gigs to round things out! If not I still got to keep my tug boating skills up and continue to stay familiar with my home waters for my eventual leaving of the bayou for good. This entry was posted in General Ramblings and tagged 38th Voyage, boat parade, Bucky, Charles W. Morgan, F/V Starlight., Jaguar, Nantucket, New Bedford, pick up work, Seastreak Wall Street, Toscana Corp, tug boating. Bookmark the permalink. Thank you! I do enjoy being busy, helps keep me out of trouble. Even with my blog, and videos and pictures there is still only so much someone with no boating background can understand about what I do. To get her out on the deck to feel the vibrations of the Detroit’s and hear lines under tension is something else entirely! I feel very lucky she wanted to get up at the crack of dawn to find out just what that is like.